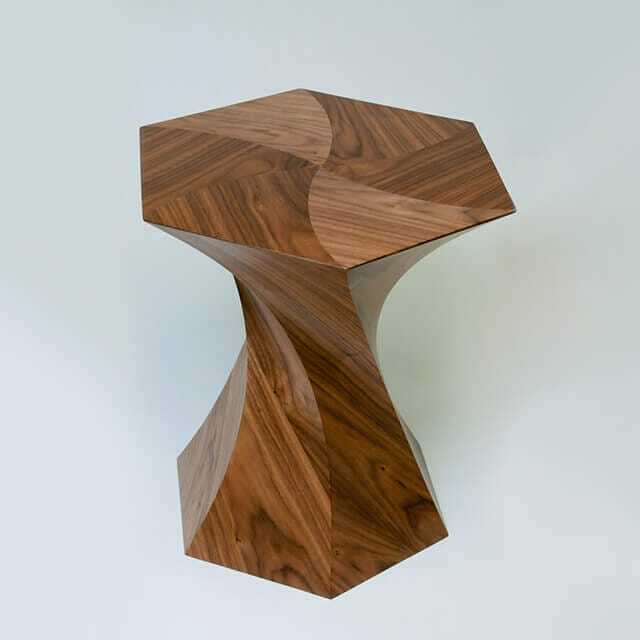 The delicate Twister side table was born out of experiments with twisting flat sheets of veneer. The delicate Twister side table was born out of maker Joachim King’s experiments with twisting flat sheets of veneer. 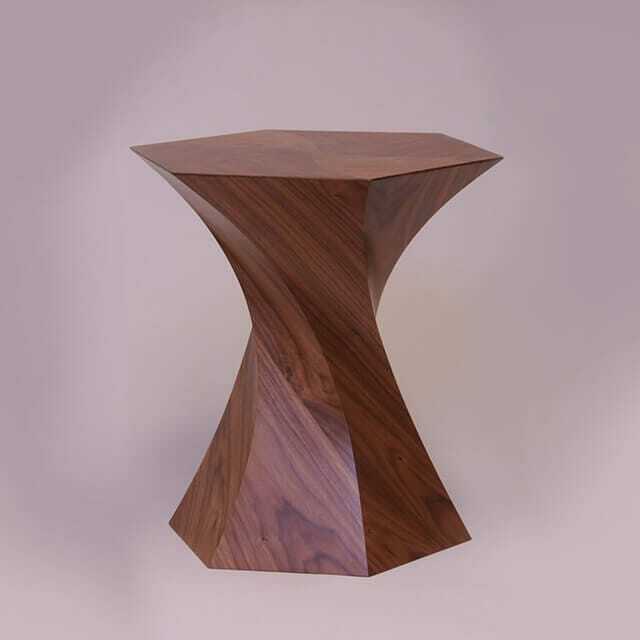 As well as being functional, the beautifully faceted and bowed form of this table is simply lovely to look at. Sharp curved lines lead the viewer’s eye around the piece and the carefully selected grain of the walnut veneer further enhances its unusual physical shape. Glasgow designer Joachim King likes to use solid wood construction techniques borrowed from traditional chair-making and boatbuilding methods in his work, creating original furniture which marries form and function perfectly.